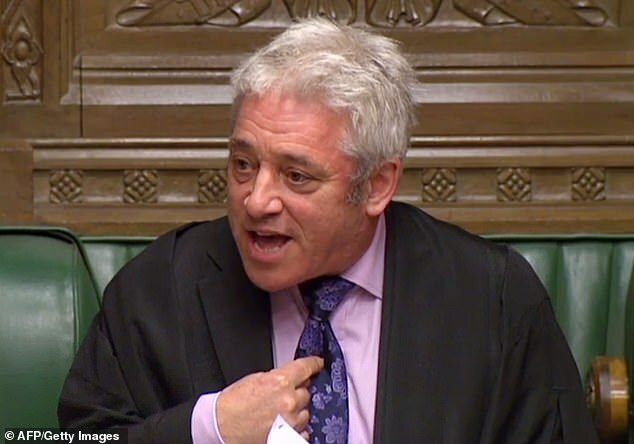 John Bercow is ‘one false move’ away from being ousted, a cabinet minister has warned, amid fury over his handling of Westminster bullying allegations and Brexit. The Commons Speaker avoided a bullying probe last year after a parliamentary committee said the claims were too old. But senior Tories angered by his conduct are now poised to report even the most minor transgression to the new Independent Complaints and Grievance Scheme, which has the power to investigate and sanction all MPs – including Mr Bercow. In October, the Dame Laura Cox inquiry found there was widespread bullying and harassment in Parliament and called for a change in leadership of the Commons. Mr Bercow, who denies all allegations of bullying, has also infuriated senior Tories with his handling of the Brexit debate. Ministers point out that he has repeatedly helped fuel discontent with Theresa May’s deal by calling dozens of her critics to attack her proposals before allowing more supportive MPs to have their say.